I recently came across a post on the Panini America blog describing a local charity that collector Mitchell Kennedy started called Sports Cards for Kids. 15 year-old Mitchell is putting together hundreds of packs of 20 cards each and distributing them to local Boys and Girls clubs and children’s hospitals. He is reaching out to local athletes as well such as Panthers WR and former Appalachian State star Armanti Edwards, who was willing to sign and return cards for Mitchell to include in his packs. 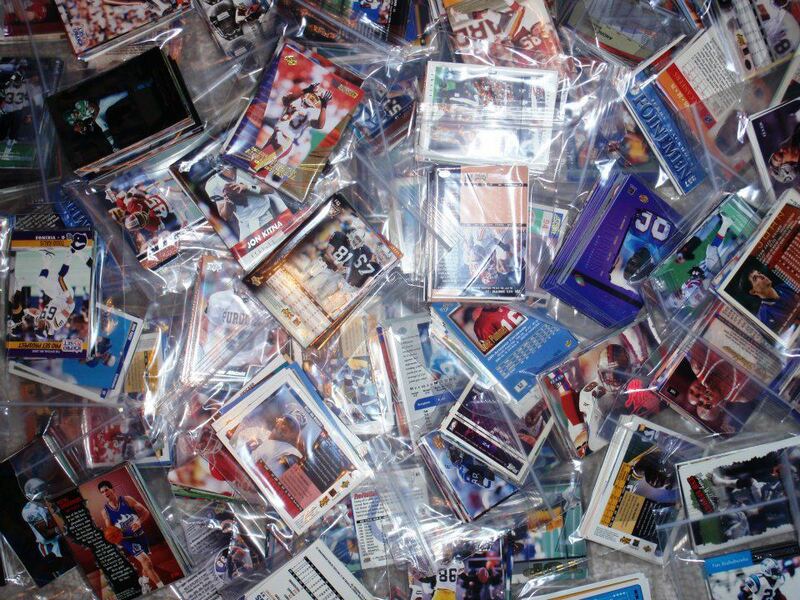 Hoops Hobby: How did you get started in collecting sports cards? HH: What prompted you to start Sports Cards for Kids? How did you come up with the idea? MK: I had some extra cards and told my mom to give them to someone she knew that did not have a lot and she told me one day that the child that got them still had one of the cards by his bedside. So I thought that I could make this a big thing and give cards to a lot of kids. HH: Do you have a favorite moment or story with the kids since you’ve started Sports Cards for Kids? MK: I have two, the first one is when I gave out the first Armanti Edwards autographed cards. The kid who received it went back to his table and said “Does anyone want to trade for this?” and many people said yes. Then after the reactions from the other kids said “Sike!” The second one is when I gave a Albert Haynesworth jersey card (in Pats uniform) to a Patriots fan and when I came back almost 10 minutes later the same kid had the card in his hand feeling the jersey. HH: What makes the hobby exciting to you and keeps you collecting? One important note on donations- they should be cards from 2005 to present, so players will be more recognizable to the kids. Hall of Famers and retired stars are encouraged as well.